Ipswich and Kesgrave are setting a standard that other bridge clubs in Suffolk will do well to match. In July, as part of their 60th anniversary celebrations they hosted a well-attended and well-received visit from England international Sally Brock. 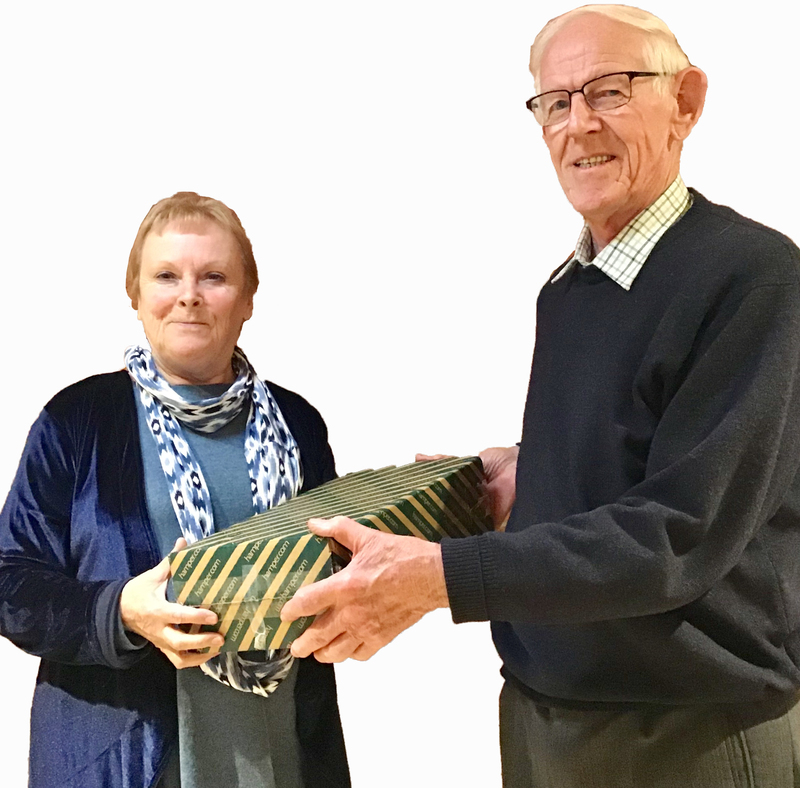 On Sunday 2nd September, however, they topped this by staging a superb Swiss Pairs event comprising 7x6 board matches that attractedno fewer than 112 players. A convenient start-time of 11.30 allowed the event to conclude by 6.30 pm. Play was interrupted at around 2.00 by a break for a sumptuous lunch organised by Chairman Trevor Stiff (so good that one player who will remain nameless was rumoured to have gone back for a fourth helping). And all this for only £10 a head! As genial hostess, Anne Edwards, pointed out, it was encouraging that all ability levels were represented from NGS twos to members of the Suffolk, Norfolk and Herts county teams. and playing a weak NT, Glynne raised her partner's opening 1D to 2D and then wisely passed her partner'sre-bid of 2NT. Even 8 tricks required accurate card playby Iris who was rewarded with 44/58 of the match points. Later rounds included decisive victories over Jenny and David Price and over Richard Evans and Andre Gray. By the start of the final round they had accumulated an impressive 95 out of a possible 120 victory points and led the field by 6 vps. South immediately bid 4 spades and after 2 passes Conorbid 5 clubs for only one down doubled (-100) and 43/58 of the match points as most E/W pairs chose to defend 4 spades for -620. Conor and Jo then proceded to play faultless bridge. By the end, they were the clear and deserved winners claiming first prize with 9 vps to spare. All credit, though, to Ipswich and Kesgrave bridge club for hosting such an enjoyable and well-organised event. All declarer needs now is a successful diamond finesse finishing in dummy and South is forced to concede the last two trump tricks. Congratulations to the two pairs who made 12 tricks in Hearts. Our most frustrating hand was board 8 where our opponents held their nerve and played in 1NT by N.
After the reasonable small ♥ lead round to the Q, the ♣A and ♣Q brought declarer the welcome news that the ♣ suit had been established and eight tricks were soon brought home. The unlikely lead of the ♥K or a diamond lead followed by a heart switch would have resulted in declarer making three or four less tricks. That’s bridge!